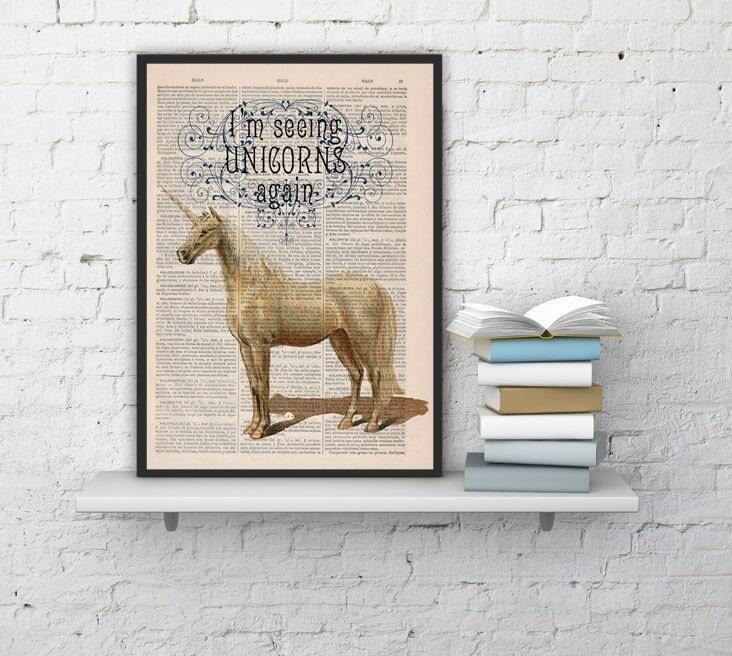 Fabulous Unicorn art collage printed on real vintage dictionary book page. So cute and funny! The item was received well before I expected. Thanks! 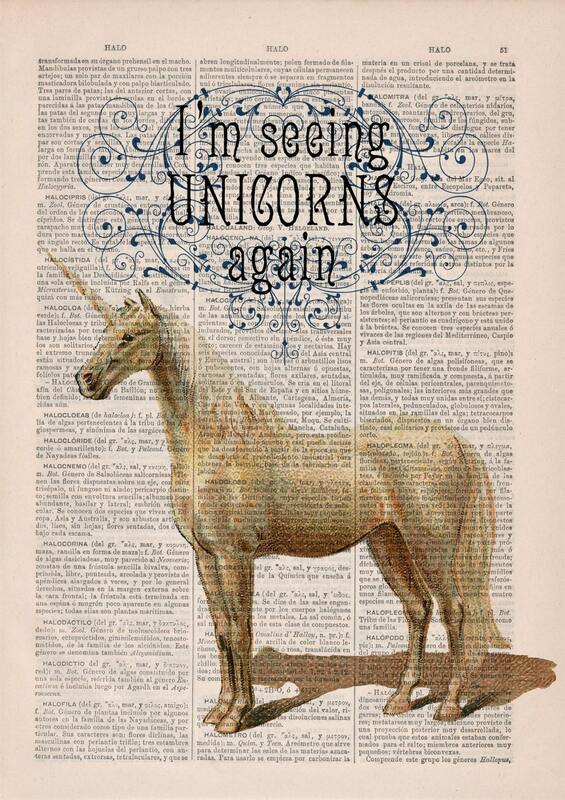 I bought this for a friend who is obsessed with unicorns and she loved it. Shipping time was quite quick as well.